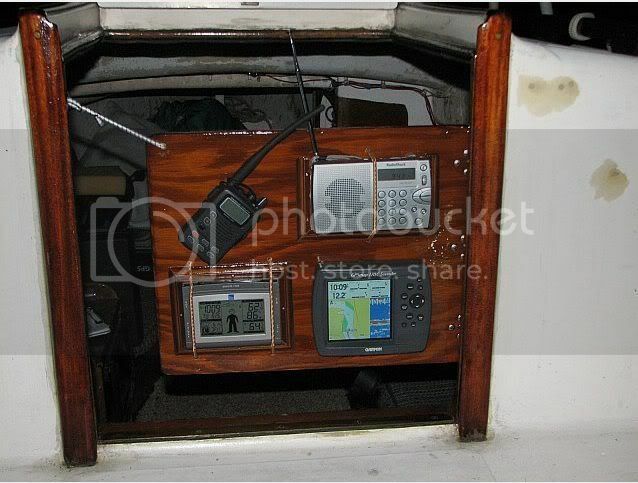 Chris Schoonmaker sent med these pictures of the swinging instrument panel he made for his Alacrity. 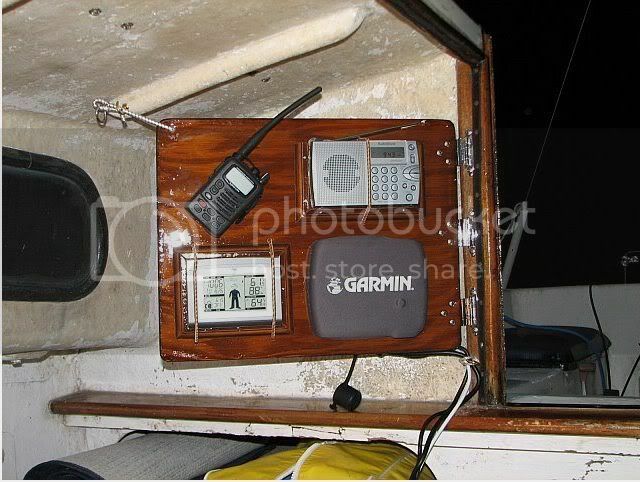 The idea is to have handheld VHF, radio, weather station and chartplotter/depthsounder easily available from the cockpit during sailing, but being able to easily swing them out of the way if not needed. A very tidy and nice solution indeed. 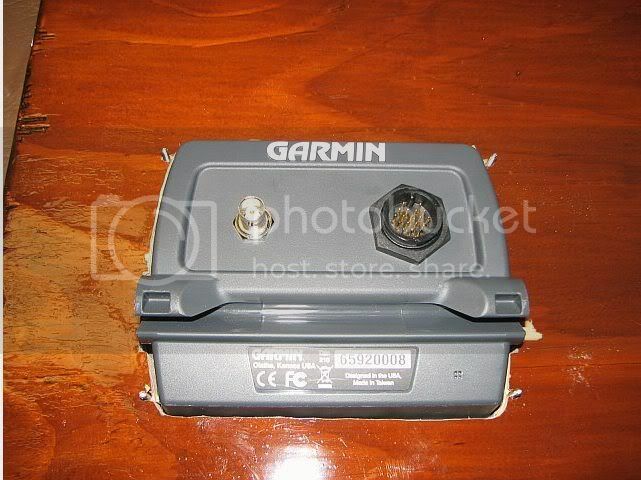 The depth sounder/chartplotter is flush mounted with all the connections on the backside, while the other items are held by cords/clips so they can easily be removed. 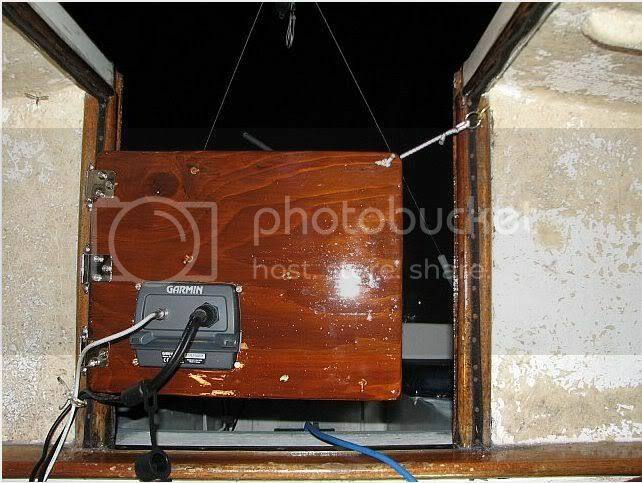 There are three positions for the panel: along the cabin's aft bulkhead, parallel to the companionway and across the companionway to be clearly seen from the cockpit. 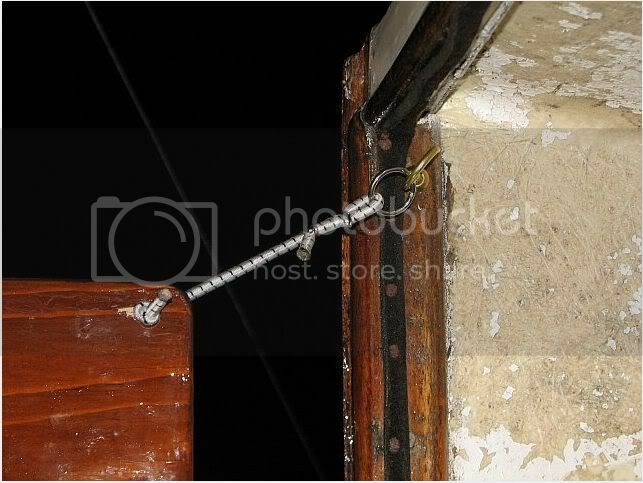 A bungee cord and ring/hook arrangement makes changing the position easy.